For an independent Scotland, the SNP favours a currency union with the rest of the UK (rUK), to be known as the Sterling Area. This option has been comprehensively rejected by the unionist political parties. I discussed the economic case for and against a Sterling Area in Part 1; now I will look at the reaction from the SNP. (by definition) will no longer govern an independent Scotland. 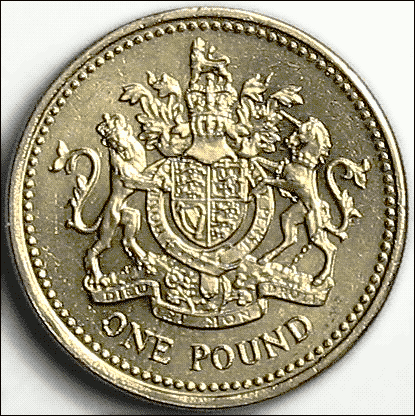 The pound is Scotland’s currency every bit as much as it is England, Wales and Northern Ireland’s. Becoming an independent country will not change that – Sterling is a jointly shared asset which we are entitled to inherit. ... one of the partners declared the pound was no longer common property, and could be taken away, without consultation or negotiation, by a Conservative chancellor in an off-hand speech. If Swinney and his allies mean Scotland has a legal right to impose a currency union on rUK, they are simply wrong. No such legal right exists. If they are asserting some sort of moral right to a shared currency, it is highly questionable at best. The pound is not a shared asset, it is a shared agreement. If Scotland and rUK are a divorcing couple, currency union is not the balance of their savings account. It is the shared bank account itself. It includes an overdraft facility and a credit rating. There may sometimes be cogent reasons for a divorced couple to keep a joint bank account, but it is certainly not required. If Scotland became independent, shared assets like the Bank of England's gold reserves could be divided between Scotland and rUK. A currency union is not an asset which can be divided or sold off; it is an ongoing agreement with risks and responsibilities on both sides. Upon independence, all such agreements are subject to renegotiation. If both parties consent, they may be retained in a revised form; then again, they may not. Neither party can unilaterally declare particular areas to be off limits. Today, the pound sterling is Scotland's currency. It is administered by the UK Treasury and Bank of England, both of which are ultimately responsible to the British Parliament. On day one of independence, the pound sterling as we knew it would cease to exist, along with the British Parliament's authority over Scotland. The two countries might choose to set up a currency with the same name and similar (but not identical) governance, but this is by no means certain. The problem is staggeringly obvious if we apply similar reasoning to other areas. Take, for example, the British Army. Physical assets such as vehicles and weapons can be equitably divided between Scotland and rUK, but an army is more than that. It is a set of rules, institutions, and traditions. Today, an English (or Welsh) general in London can issue orders to a Scottish infantry unit, and expect those orders to be obeyed. Upon Scottish independence, that would no longer be the case. If the unionist parties complained Britain's army was a "shared asset" and the Scots had no right to take it away, we can well imagine the derisive response from the SNP. In theory, an independent Scotland could have a joint military command structure with rUK; but the SNP doesn't want it, so it won't happen. That is the whole point of national independence, but self-determination cuts both ways. The rest of the UK has every legal right to refuse its consent for a Sterling Area, and this refusal has the unequivocal support of all three main unionist parties. The SNP response to these simple facts has been to obfuscate them, with furious rhetoric about "Scotland's pound" which has no basis in substance. The SNP claims the rejection of a Sterling Area is a bluff; and in formal independence negotiations, the rUK representatives will see the logic of the SNP's position and change their minds. This is absurdly optimistic. The SNP states that because of estimated transaction costs of £500 million each year, rUK has no rational choice but to join a currency union. This is simply not true. The GDP of the UK was £382,818 million in the third quarter of 2013. Assigning 90% of this to rUK, it has a GDP of about £344,536 million per quarter, or £1,378,144 million per annum. Therefore, on the SNP's own estimate, transaction costs from a separate currency in Scotland would amount to 0.04% of rUK's gross domestic product. [Edit: I previously said it was 0.15% because I'd mixed up quarterly and annual GDP.] This is hardly an overwhelming argument for currency union. In addition, a shared currency would bring genuine risks for rUK. Even if the unionist parties wanted to reverse themselves, they would pay a price for doing so. In the event of a Yes vote, the voters of rUK would expect their leaders to negotiate for the best possible deal. Climbing down from a position which they so confidently claimed was in the best interests of rUK would be punished by the electorate. A surly, defiant nationalism is on the rise in England, as we can see from the popularity of UKIP. If Scotland votes for independence, that tendency will be emboldened. In the metaphor of a divorcing couple, Scotland is the one who has declared it won't work out, packed its bags and called in the lawyers. It is a rejection of 300 years of union with the rest of the UK and all it stands for. Now, Scotland has every right to do this, but it is a bit much to expect the former partner to be delighted. Even voters who were neutral or favourable towards Scotland might well feel unhappy and confused. The significant minority who dislike Scotland would feel their worst prejudices had been vindicated. In short, there will be very few votes in placating Scotland, and many more in a hard-nosed defence of rUK's interests. One could argue this is unfair, but fairness doesn't enter into it. It is political reality. The rUK politicians would simply be responding to the wishes of their electorate. The SNP has threatened that if there is no currency union, an independent Scotland would refuse to take on a share of the UK's national debt. It may well have a legal right to do so, but there are practical and moral objections. In practical terms, the financial markets do not react well to any repudiation of debt. Scotland would suffer a penalty in terms of its ability to borrow money, and in the value and stability of its currency. As for morality, the UK's national debt was incurred in part through spending on Scotland. One can argue over the details, but to a rough approximation Scotland's share of spending is equal to its share of taxes. The difference between tax receipts and spending is borrowing, which creates the UK's national debt. A share of that money was spent on Scottish schools, hospitals, benefits, and pensions. There is a clear moral case that Scottish taxpayers should do their part in paying it back. I do not think it would be difficult to convince the rUK electorate of this. As I have said, rUK might be ambivalent towards a independent Scotland in the first place. Repudiating the national debt would squander whatever goodwill Scotland had left with its large and powerful neighbour. If it must choose whether to carry out this threat, the SNP might back down; or it might tell both rUK and the financial markets to go to hell. In this day and age, the latter would be an extremely brave decision. Scotland would undoubtedly face negative consequences. Once again, it may be unfair, but this is the way things are. The SNP's bluster, anger and counter-threats do not matter one jot for the rest of the UK's legal right to refuse a currency union. However, they may matter a great deal for the independence vote, as I will discuss in Part 3.